Worked it's first train since the May diesel gala on Friday 22nd August after a broken spring was found on the steam loco's morning prep. The 20 worked the 10.45 to Totnes then back as far Staverton where the steam loco was waiting to take over. This was done due to a party booking that was expecting steam on the first train. The loco worked both days over the Branch Line weekend without fault. 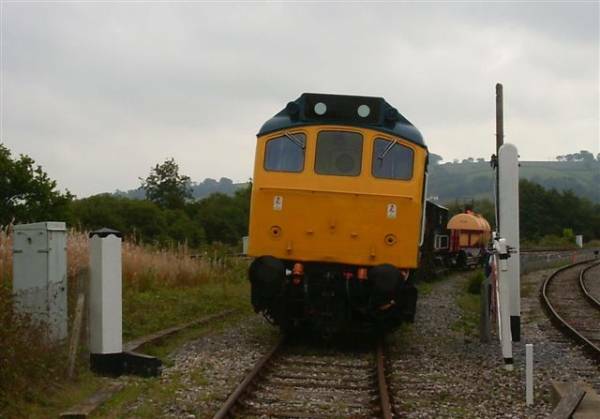 The loco was pressed into use on Saturday 20th September to drag the DMU (due to it failing) on the 16.00 return service to Totnes. The next day it replaced Peckett "Lady Angela" on a afternoon trip to Bishops Bridge with a goods train. Worked three return trips on Sunday 3rd August, after missing the first one due to taking fuel. It would appear that some more fine tuning is needed on the power side, as wheel slip is being experienced with a jump in power when the power controller is opened past the "on" position. The new engine compartment door seals have all been replaced by mid August. A notch has now been filed into the cam on the power controller column. It took three attempts at filing the notch before the right size was achieved. 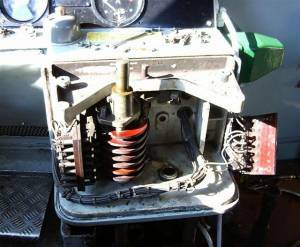 When all this was refitted, the loco would not take power! This was later traced to one of the bakelite cams being put back upside down. After this was put to right power was once again regained. Through all this the loco had to be put on charge to start the engine. This was looked into towards the end of September and a cell was found to have gone down. The one spare cell was checked over and a drop of acid added before it replaced the duff cell. 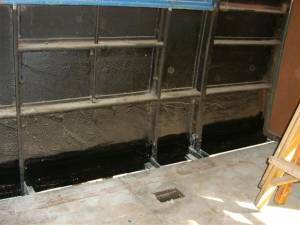 This was carried out on the last Sunday in September, also on this day a check was made of the engine governor system and the small air pipe was checked against the same pipe fitted to 20110. A big difference was found between the two small pipes. The one on 110 has a much larger diameter compared to 118's which could be why this loco is slow in powering back! Worked it's Sunday turn without fault on 6th July. An extra trip to Bishops Bridge at the end of the day was arranged. This was to take back two coaches and some wagons. 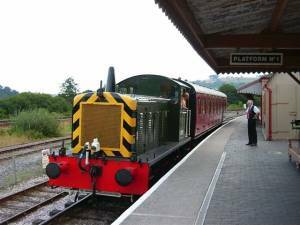 Had to stand in for a failed steam loco (see below) on the last return trip of the day on Saturday 2nd Aug. The next day it had to stand in for 20118 on the 10.00 diesel departure as the 20 was low on fuel. Worked the Sunday 24th August of the Branch Line weekend without any trouble, and again on the running Sunday 7th September. A change around of some stock took place on the following Sunday, which meant a trip to Bishops Bridge. A spot more shunting on Friday 19th September to get things in place for the weekends Transport gala which the loco took part in. 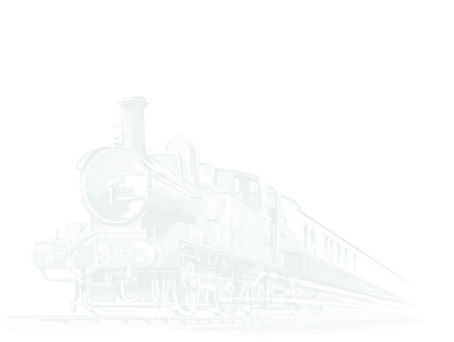 Working all sorts of trains (vans, milk, passenger & freight). 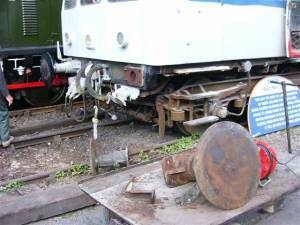 Over the Friday it was found that a contact in the deck in No.2 cab was trying to weld it's self together. This was put right on Sunday morning by changing it with one that's not used from No.1 cab. This is the second time that this has happen, though not the same contact. No change in the loco's status. Being started to keep the engine in working order, but this has to be done at least every two weeks or the batteries lose their power and then need a charge before a start up can be done. Seems to be working well at the moment, having been doing the 17.15 from Buckfastleigh over the peak season (when the drivers turn up?). It had an extra two days work for the Fair on 15th/16th August doing two trips each evening. With it's fuel tanks full at the start of the six week peak, the unit just about made it to the end, but had to have some fuel before doing a trip on the Saturday of the Transport Heritage weekend 20th & 21 st Sept. A spring on a drop light window had given way or stuck down, making the window drop quickly once opened thus shattering the glass. 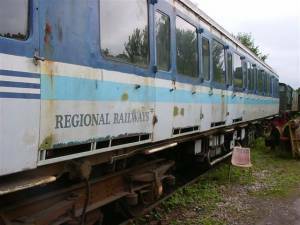 This was repaired by the C & W department on Sunday 24th Aug. Having done the evening trains without fault the gremlins have struck once again! The owner paid a visit the week before the Transport weekend and steam cleaned the engines on one side of the unit (the river side). Although the work made it look a lot cleaner, but the Ashburton end power car has now got a electoral fault on it. No engine or air & axle lights light up when the forward/reveres lever (spoon) is inserted. 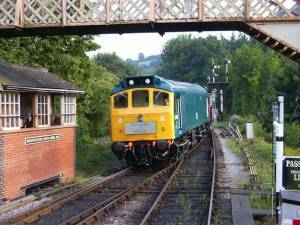 The unit only had one return trip to do on the Saturday, the 16.00 depart to Totnes, which had to be loco hauled. This departed 2/3 min late which was not bad as the class 20 was started about 20 min before hand. It would appear that water from the steam cleaning has got into a pressure control switch. 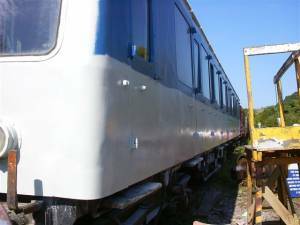 The lower part of the body side (on both sides) of the large saloon have been cut away and new metal panels/strips welded in. This has now been filled and painted into undercoat. By the end of September the undercoating on the A38 side was all most finished. 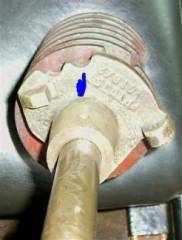 A compressed buffer at No.1 end was changed on the last Sunday in September. Also on this day an attempt to start the No.1 engine was made after the batteries had had a good charge. The engine did not start as it took some time to get the fuel up to the injectors before the batteries started to die. This engine has not been started since being bought as a spare many years ago. By the end of September most of the loco had had a fresh coat of Maroon gloss, apart for the parts that need new metalwork. Rumours are that a set of nameplates might be on their way! No change from last time, but wait, it was seen doing some shunting on Saturday 10th May on the gala weekend. 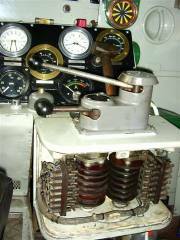 However on the Sunday it had sprung a oil leak on the oil cooling radiator for the hydraulic drive. In daily use. The loco had a call out on Saturday 2nd August when steam loco 5786 failed down the line on one of it's return trip from Totnes. 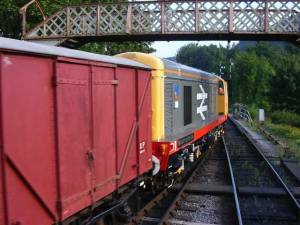 The 04 brought the failed loco plus five coaches back to Buckfastleigh. Worked the Sunday of the Branch Line weekend doing shunting at Buckfastleigh and the last train of the day to Totnes (the 17.46) returning ECS to Buckfastleigh. Had a trip to Bishops Bridge to work a goods back on the Saturday 20th September of the Transport gala plus shunting over the weekend. Before the Saturday trip took place the fluid flywheel had to be topped up with oil. It maybe the case that a plug on the flywheel may be throwing oil. This is to be looked in to shortly, along with adjusting up of the brake gear. 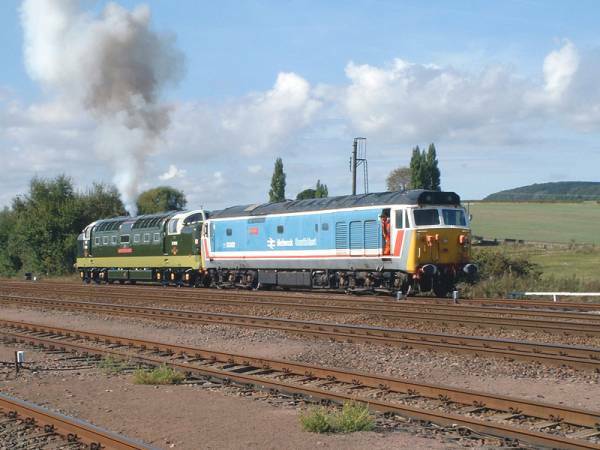 After passing a fitness to run examination on Monday 15th September, the 50 was booked to depart Barrow Hill engine shed at 09.35 as 0Z55 for Totnes on Wednesday 24th being hauled by preserved main line Deltic loco D9016 Gordon Highlander. After some trouble with the air braking system and a bit of huffing & puffing the movement set off 190 minutes late at 12.45, making up time as it went. Running via Derby ( 179 minutes late), Wichnor Jct. ( 146 minutes late), Kingsbury Jct. ( 108 minutes late), King's Norton (92 minutes late), Cheltenham spa (72 minutes late), Westerleigh Jct. (64 minutes late), Bristol T.M. (79 minutes late), Taunton (66 minutes late) Exeter St. Davids (57 minutes late) arriving at Totnes about 19.05 after a 15 minute wait at Newton Abbot for a pathway. At Totnes D2246 was waiting to shunt 50002 into the bay. MINK W 104700 - New wood for the top of the doors is now on site and just needs drilling then fitting before the winter rain comes. CCT W94556 - No change. The van had a run out on the Branch Line weekend. CCT M94852 - No change. MINK `B' (W125814) B753100 - No change. This van was also out & about on the Branch Line weekend and the Transport Heritage weekend. No more scheduled days until next year. The last running day this year was October 05th when both 20's were running. The inside of the new paneling all painted and the exchange on buffers taking place. and how it looks all back in place. The controller with cover removed. 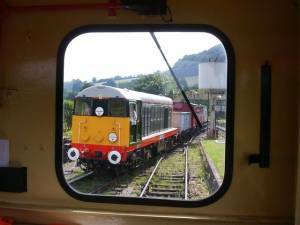 Through the square window we see 20110 arrive into the yard at Buckfastleigh & 20118 doing a shunt onto the main line. was 50002, seen here about to depart Barrow Hill with D9016.